All of our technicians have graduated from the most prestigious Search Engine Optimization schools in the world. Names like…… uh… the uh… well, there aren’t any. Which brings us to the point about SEO best practices. With no degree’s or conventional certifications within the field of Search Engine Optimization, how can the consumer determine the competency of the Digital Marketing Agency that offers SEO service? What makes for reasonable pricing for the service offered? What are some of the basics that every SEO consultant should be doing for your business? The average business owner doesn’t want to know or care how to execute on an effective SEO / Digital Marketing Campaign. They want to know that they are paying for something, not making a bad decision for hiring your agency, or getting flat out ripped off. Many of them have been burned because there are many SEO’s offering services without the competency to win the results they offer. This nebulous atmosphere creates a bit of a problem for both parties. The business owners don’t have enough knowledge in the Digital Marketing arena to determine the ability of the individual or agency, and the true professionals of the industry have to constantly manage the perspective of the validity of the service because there are so many scammers out there. So let’s talk Industry Standard Best Practices or, more specifically, SEO best practices. These are simply the rules that, while not regulated by law, are those that every good practitioner will do automatically as part of their profession. Every surgeon is going to wash his or her hands before and after surgery whether it is a law or not. 1) Established Citations accurately or reviewed and adjusted your existing citations to make sure that they are current and were done correctly. If this isn’t done or in the process of being done then you have hired a dummy or a fraud. 2) Keyword Research: They should have completed some research on the keywords of interest and how much of the traffic that goes to your competition websites is via searches for these keywords. This is just a simple part of the planning and strategy you need to make sure that you are going after the valuable terms for your business. It is well known that the top positions on the search engine results page will capture about 40% of the click-through rate for the search term entered. (Ads only capture 15% divided among all of them) So then, 1000 searches gain 400 clicks and if you are paying per click cost you $6000 per month as retail cost. The SEO Consultant uses this retail pricing and then divides that (typically between 30% – 35% to come up with a monthly service cost for that keyword. If the company in question has a conversion rate of 5% they should be able to get 36.5 new sales each month from the 730 leads generated. A cost of $4.72 per lead or about $94.00 per sale. Keep in mind that the average customer for a plumber is about $350.00 meaning a $250.00 profit per sale. With these numbers, it is easy to calculate a timeline for a Return on Investment. While we do understand that this is an overly simplistic way to look at pricing we do think it adds value to the reader who is now equipped with a few questions to ask the Digital Marketing Company that has forwarded a proposal for SEO services. Make sure they are following a few SEO best practices. 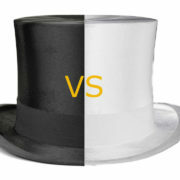 DizzyWeb – Settling The White Hat SEO vs Blackhat SEO Debate. There seems to be a lot of confusion about the differences in White Hat vs Black Hat SEO. This confusion exists both within the digital marketing professional and outside of it. There are many opinions on the subject, but we like to keep it simple. White Hat SEO is all about adding value to the human user with links or content. Whereas, Black Hat SEO focuses on trying to trick the search engines into awarding higher rankings in absence of any real value to a human user. The most common (but False) idea is that paid links are Black Hat SEO. They certainly can be blackhat but we must first make the distinction as to whether or not that link has added value to the experience of people who might click on it. Is the link a simple paid advertisement? (Nothing Wrong with that) Does it lead to pertinent information that may actually answer the search query of the user? Or, as a black hat example, does it take the user to a totally unrelated site outside of the search thread? If we think of a link as a referral is become more clear. A referral is a value given by one party to another. If our massage therapist recommends a local chiropractor we do not think there is anything wrong with that, even if the massage therapist benefits by getting a discount when they visit that same chiropractor. Essentially we have a paid exchange, though in this example with an indirect form. The point being, that the client actually benefits from the referral regardless if the individual who made the referral is compensated or not. This is next level plagiarism and it involves using special software which takes the copied source and rephrases it for later use as a “new”, “unique” post. Again I would like to point out that while article spinning is considered a black hat technique it is not universally evil. Consider, if you will, taking an existing article that has some information of value but other information that is in need of updates or corrections. By making these improvements and then reposting the article we have added value to the user experience. Again the big distinction here is the value-add or not added to the human user. Again these can be both Blackhat or White Hat. Think of a hammer sitting on a table, you can build a house with it or smash somebody in the head. I operate several websites and have many people commenting on different posts. Some of these comments are very useful and provide a link taking the reader to the commenters site or to a product that is absolutely relevant and beneficial to many who are reading that article. Other comments are absolutely worthless, unrelated to the content and filled with multiple links to junk websites. In Summary, if you are thinking about the value given to the human user then you are doing SEO as White Hat as can be. https://www.dizzywebseo.ca/wp-content/uploads/2018/02/Whitehat-Black-Hat.jpg 720 1200 admin https://dizzywebseo.ca/wp-content/uploads/2017/01/DizzyWebLogo-300x136.png admin2018-02-08 13:15:112018-02-08 13:28:38DizzyWeb - Settling The White Hat SEO vs Blackhat SEO Debate. Search engine optimization industry is full of rumors, workarounds, and gurus who try to push all kinds of systems in order to make money. If you are involved in search engine optimization industry, you must know that Google uses over 200 different factors to calculate the rankings. 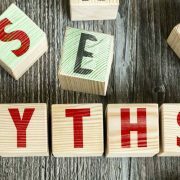 Google’s algorithms are a closely guarded trade secret and nobody knows exactly what factors are included in Google’s algorithms. Over the years, many SEO enthusiasts, as well as professionals, have conducted their own tests in order to figure out the factors that may be used by Google to calculate rankings. Most people know that links remain the most important factor but there are also several other minor factors that influence the results. Many SEO consultants are of the opinion that click-through rates in the search engine result pages are also a factor. Some professionals in the industry claim to have conducted internal experiments to test this hypothesis and their test results seem to indicate that it is used as a ranking factor by Google. It is also important for you to keep in mind that Google has never indicated that click-through rates are used as a ranking factor but then, Google has never talked about the numerous factors it uses in order to calculate the rankings. It should seem fairly obvious that click-through rates should matter as people tend to click through pages that seem to be relevant to the query typed by them in the search box. Therefore, it may be concluded that click through rates do matter in terms of rankings. However, click through rates, at best, should be thought of as an offset factor as search results change as per the preferences of a particular set of audience. Another important thing you need to keep in mind is that a webpage has to already rank on the first page of search results for click-through rates to have any effect. If a webpage is already on the 20th page for a search query, the click-through rate is not going to make it rank on the first page. On the other hand, if a webpage is already ranking on the first page of search results but is ranked at the eighth or ninth position, improvement in click-through rate may push it to the top three results for that particular query. Another important thing you need to keep in mind is that most of the tests conducted to figure out the value of click through rates in rankings have concluded that it works for a particular query and not for all the queries. On the other hand, when you invest in general search engine optimization, you can expect ranking improvements across the whole spectrum of keywords. In other words, with proper search engine optimization campaigns, you can gain rankings not just for the targeted keywords but a whole lot of related keywords. 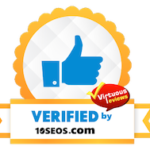 This is due to increase in trust rating for the domain and once ranking improves for a few keywords, the website also starts ranking for a ton of related keywords. Therefore, it is safe to say that click-through rate doesn’t work like a ranking factor if the webpage isn’t already ranking. However, if a webpage is already ranking on the first page of search results, its ranking can be further improved by trying to increase its click-through rate. There are some software solutions available in the market that claim to emulate real users in order to increase the click-through rate of a particular URL for a particular query. As far as the effectiveness of the software solutions is concerned, nobody can say that they have found an effective solution. You should also know that Google also takes the IP address of users into account while displaying search results. Therefore, if you decide to invest in a software solution to emulate real user actions to increase click-through rate, you will also need to invest in hundreds or perhaps, thousands of proxies in order to have any desired effect. Overall, it can be safely said that click-through rate is a minor ranking factor and investment in enhancing click-through rate only works if a webpage is already ranking on the first page of search results. On the other hand, there are several other search engine optimization techniques that can deliver far better results for a similar investment. Search engine optimization is something that you want to be sure to implement into your overall marketing strategy. 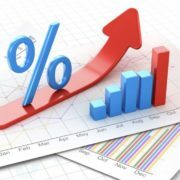 The process of optimizing your website to rank well within the search engine ranks is something that you are going to want to focus on because a majority of consumers in today’s marketplace actively use the search engines in order to find products and/or services that they want to purchase. 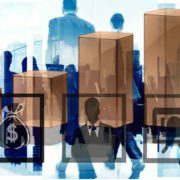 Thus, you want to be sure that you are actively looking for ways to increase the visibility of your brand and business. The best way to do this online is by ranking well within the search engines and the best way to do this is through proper SEO implementation. In this article, we will be going over some of the top search engine optimization tips that you are going to want to implement into your business. The main thing that you are going to want to focus on when it comes to implementing SEO into your business is your content. The content that you end up putting out is one of the main factors that you are going to want to look at because the content can play an integral role in determining how effectively you are able to rank for various keywords related to your particular business or brand. You not only want to create relevant content to your specific niche, but you also want to be sure that you are accurately targeting the high volume keywords that are actively being searched for within your respective niche. By doing this, you should be able to maximize the chances of really optimizing your website in a good way that is going to bring in a lot more traffic than you would be able to achieve through other means. Ranking your website organically through valuable and relevant content is easily one of the best ways to really get your website more views and more traffic overall. When it comes to SEO, one of the biggest tools that you are going to be able to use at your disposal is video marketing. Video marketing can be a great way to get your website ranking better within the search engines. This is especially true with Google. After all, YouTube is owned by Google. Therefore, you should be able to effectively rank a video much faster than you might be able to a text-based article which can really help maximize the amount of traffic that you are able to achieve directly to your website. This is because ranking a video is generally going to be a much easier process overall given there are much fewer videos competing for the same keywords than there are articles. Therefore, video marketing is something that you are going to want to be sure to implement into your overall marketing mix. Social media is another important component that you are going to want to focus on implementing into your business when it comes to increasing your chances of ranking well within the search engines. By effectively utilizing social media to rank better, you should be able to achieve much faster results. After all, various social media platforms are great places to get your business seen by potential traffic and prospective customers. Therefore, you can leverage your social media platforms to your advantage and really maximize your website’s overall visibility through these networks. Having a lot of followers is going to be a great thing for achieving optimal rankings through the search engines because search engines want to see ‘social proof.’ There is no better social proof than by seeing how many followers your respective website/business has. Overall, there are a lot of different ways in which you can achieve great results when it comes to your SEO. By following the tips above, you should be able to maximize your results and really achieve the highest possible rankings. Not only does social media count towards your rankings, but the most important thing that you are going to need to consider is the relevance of your content along with the quality of it. By producing high-quality content, you should be able to rank well in no time.